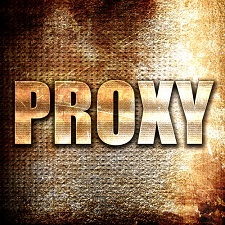 For security purposes, please make sure to change the default user settings in the ProxySQL configuration file. It is recommended that you use –config-file to run the proxysql-admin script. Default –config-file location is /etc/proxysql-admin.cnf. It seems confusing to reference proxysql-admin as a package since it’s a script inside the proxysql package from Percona repository. We have updated the blog. It would be great to have some better explanation of the admin config. Any help or a push in the right direction would be a big help. We have updated blog with script usage information. CLUSTER_USERNAME variable is used for connecting to the Percona XtraDB Cluster node for ProxySQL configuration. It is important that this user is present in the Cluster and that the super user account is being used to setup the configuration. CLUSTER_APP_USERNAME is a ProxySQL application username for connecting to the Percona XtraDB Cluster node. proxysql-admin tool will create this user in Percona XtraDB Cluster. If this user is already present proxysql-admin tool will skip the user creation. I have a problem with theparoxysql-admin tool… I have my percona cluster in a VPC in EC2 and my Proxysql in another VPC. When I run the admin it configures my sqlservers private ip address so my proxysql cannot reach them from the other VPC. Is there any way of fixxing this? I have tried updating the mysql_server config table table with the public ip addresses but it just adds the private addresss again and ignores the public ones. proxysql-admin script will configure PXC cluster based on wsrep_incoming_addresses status variable. I think should configure PXC with public IPs. Even if you manually update mysql_server table with public IPs, proxysql-monitoring script will update the IPs from wsrep_incoming_addresses status variable.